PROVOSYN by Beverly International at Bodybuilding.com - Best Prices on PROVOSYN! Old-School Recipe of Whole Egg, Milk, and Beef. Popular with hard gainers, Provosyn is an old-school protein formula that delivers new-school results. The Provosyn recipe was inspired by Rheo Blair, a nutritional guru of the 1950s and 1960s. Blair created a secret formula of whole egg and milk protein for his elite Hollywood clients who needed to gain lean muscle fast. He also advised that they include beef in their diet and limit their intake of carbs. This powerful muscle-building combo lives on today in Provosyn! Rich flavor and creamy mouthfeel. Stomach-friendly: Provosyn is easy to digest. Wholesome, low-carb recipe: Contains 100% whole egg, milk, and beef protein. The ratio of egg to milk protein is 2:1, just as Rheo Blair prescribed. The eggs are pasteurized and spray-dried. The milk protein is obtained from fresh, pasteurized, Grade-A milk using a gentle, low-heat system. How do I choose between Provosyn and other Beverly proteins? Hard gainers: Stack Provosyn with Multiple Enzyme Complex and Ultra 40 to maximize your gains. What people are saying (reviewers were compensated). 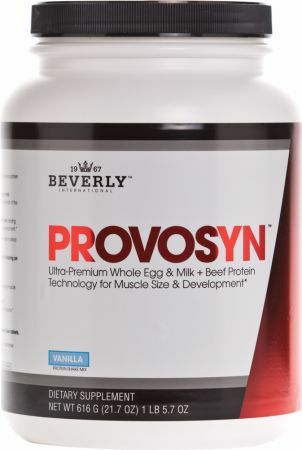 Jennifer says: "Provosyn is the best protein money can buy, bar none. It is a copy of the Rheo Blair formula. If you don't know who he is, look him up. Most people just buy protein powder from ads in magazines, fads, or because of price. Very few research what they're buying. Then they wonder why they keep throwing money away. Provosyn is real protein for the athlete. The taste is very good, even in cold water. 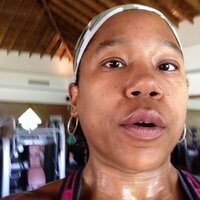 Beverly makes the best products for athletes." Zach says: "I love Provosyn vanilla. The product is delicious. I can really see the benefits after making the switch to Beverly products!" 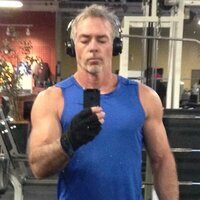 Rodhick61 says: "Provosyn is my all-time favorite tasting protein powder by far. I love the "old-school" ingredients. Awesome!" Colleyville says: "For over a year, I have been trying to find a protein powder that is healthy, that I like the taste of, and that I can sneak into my kids' smoothies. Provosyn is it!" Michael says: "Old-school protein power. This stuff is awesome. It has the best protein in it --milk, eggs, and beef- and mixes great. Tastes even better!" First let me say that I have tried a number of different protein powders from various manufacturers; even those with big name bodybuilders and athletes promoting them. My review is not a knock against any of them, but I can say with complete honesty that I have now found my personal best/favorite protein powder. The combination of egg, beef and whey protein delivers as promised and the ease with which it mixes is much appreciated. The vanilla flavor is spot on and this is coming from a hopeless chocolate junkie. I like to mix mine with coconut milk, a banana, and some vitamin/mineral powder. 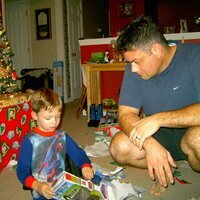 Long story short - I am thoroughly impressed with the product. We all get protein powder in some form or another and we know enough to look for the best sources, the best taste, and those that mix the best. Well - look no further. My only caveat is this ... Be prepared to pay more as Beverly International (BI) products do not come cheap. 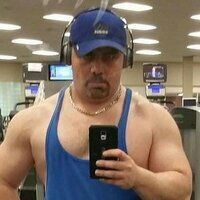 Bodybuilding.com has some of the best prices out there for BI products. I have also seen some deals on Amazon. You can buy direct from BI and sometimes they reward you with discounts. Good luck and stay fit. Excellent product... tastes great, mixes easy. Not chalky or gritty. I use this "old school" protein formula post workout. Very expensive but well worth it. Taste is AMAZING, even in water. Mixes well if shaken vigorously. Mileage may vary but my body absorbs this formulation really well, with zero GI issues. I have tried tons of different protein shakes because they all have a gritty chalk taste until now. A friend of mind told me about BI and I am now a fan! Provosyn is my all time favorite tasting protein powder....by far. I love the "old school" ingredients and make up of this protein. Awesome! Have been using Beverly for years unsurpassed quality and taste. They don't have to advertise because there products are so incredible blows all other proteins away. Try it and you will never go back. † Percent Daily Values (DV) are based on a 2,000-Calorie diet. Natural And Artificial Flavors, Sunflower Oil, Xanthan Gum, Mono- And Diglycerides, Potassium Phosphate, Sodium Silicoaluminate, Silicon Dioxide, Soy Lecithin, Acesulfame Potassium, Sucralose, Tocopherols (Added To Protect Flavor). Allergen Information: This Product Contains Milk, Egg And Soy (From Lecithin). Pour 8 oz of cold water into a blender or the container of your choice. Add 2 scoops of Provosyn and blend or mix until the texture is smooth or as you desire it. For a thicker, sweeter shake, reduce the amount of water slightly. Adding 3-4 small ice cubes when blending will also increase thickness. For a thinner shake, add more water. Learn more about Egg Protein.